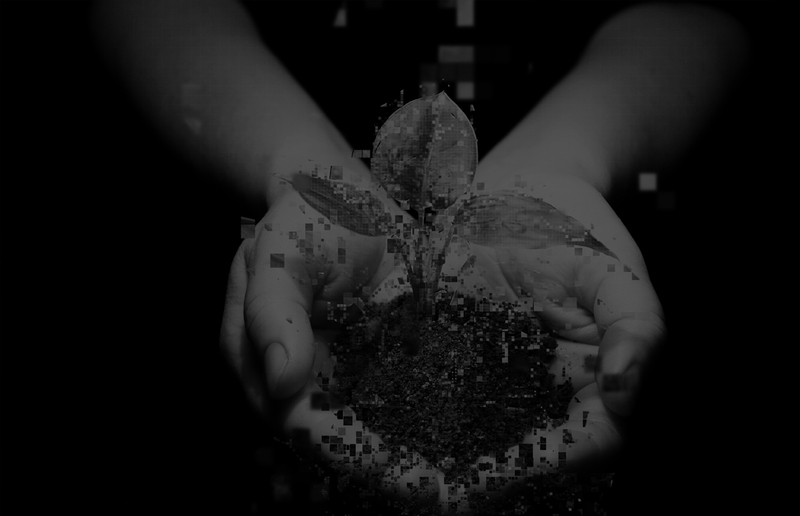 As trends continue to emerge linking smart data with smart people, we are more connected to – and by – more information than at any other point in human history. This should give savvy buyers and equally savvy sellers a clear advantage in a noisy marketplace. We have found in our research that 67% of buying research and influence is now done online, even for complex and lengthy B2B sales decisions. And smart buyers make smart decisions, right? Not so fast. There’s a reason terms like “information overload” and “analysis paralysis” are part of the new millennial lexicon. Overloading brain circuitry with too much information, especially when it comes to making a complex or important decision, can hinder and in some cases, stall out, a buying decision. This is especially true for big-ticket items and decisions where the stakes are high and the value story might be a bit abstract. Sometimes it feels easier to make no decision at all than to sift through the white noise of big data to make an informed choice. Traditional sales channels haven’t been quick to adapt to the ever-evolving buyer-seller dynamic. Sales continues to focus on relationship selling and tried-and-true practices versus consulting, insights and guidance the buyer might need to make an informed decision. It doesn’t help that there are fewer salespeople covering greater territory and more topics than ever before. Even emerging direct and virtual channels have struggled with the savvy, skeptical buyer as opportunities for facetime, focus and mindshare continue to decrease during the buying process. So how do savvy companies help both their traditional and emerging selling channels survive and thrive in this new marketplace? 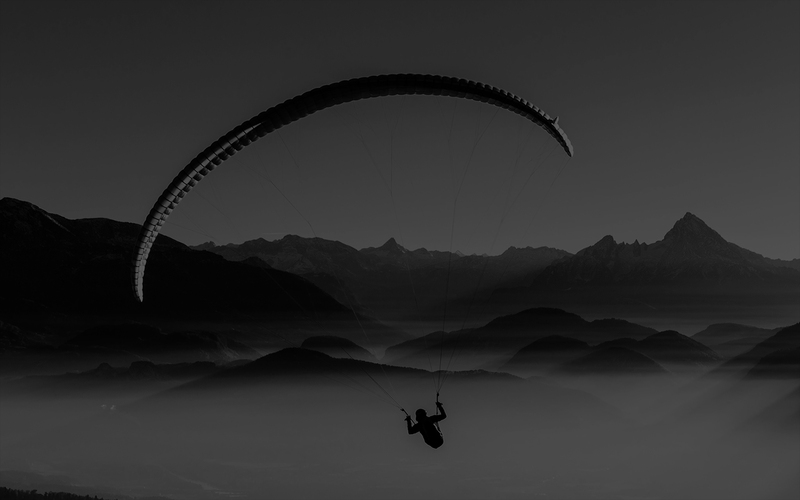 Quite simply, they pack their parachutes for success across their buyers’ sales process at every step. They’ve aligned and in some savvy B2B companies, integrated, their marketing and sales efforts to equip sellers and more often, prospective buyers, with a wealth of synthesized insights and relevant data at their fingertips to enable smarter buying decisions. In short, they’ve enabled both traditional and emerging sales channels to be successful at disrupting the buying process and inserting true insights and guidance at every purchasing step. Here are some recent examples where Weber has helped savvy sellers support, disrupt, equip and most importantly, enable a stronger, more informed buying decision. The sales enablement continuum can range from simpler, more static data and digital content, where sellers are pushing out information and helping lead a buyer down the decision path, to more dynamic data and real-time decisioning tools, where sellers “pull” buyers in, gather information and share intel that helps them navigate their decision. Don’t throw tools over the fence. Make it clear to your frontlines and buyers how and where in the process to use the information at their fingertips to support a better buying decision. Think non-linear. Complex products and solutions require a more consultative approach and dialogue that may end up following multiple avenues. Give sellers and buyers the flexible tools they need to tailor the right fit and pursue those paths. Help salespeople look smart in front of their clients. Savvy buyers demand a savvier sales force. Equip sales teams and intermediary selling partners like agents, advisors and consultants with the substance they need to challenge buyers’ thinking, provoke new ideas and guide them to the promised land. Make it snackable and actionable. Sales ideas are good in theory until you’re not sure how to use them to facilitate a buying decision. Steer clear of looking smart for smart’s sake and focus instead on sharing bite-sized insights that not only help spur new thinking, but also help the buyer take action. Package and distribute flexibly. Consider distributing smart tools and information across multiple mediums; your buyers are seeking info everywhere, not just in one place. Package tools and materials for maximum interactivity; this is critical for buyers especially, to learn and disrupt their pre-conceived thinking. From digitizing sales playbooks to “choose your own adventure” marketing materials, from interactive sales pathing and guidance to real-time decision tools and quoting calculators, we’re meeting buyers and in many instances, sellers, where they are today – and where they are going. B2B organizations with closely aligned sales and marketing enablement achieved 24% faster three-year revenue growth and 27% faster three-year profit growth (Wheelhouse Advisors). Providing better data and information across the buyer-seller key “moments of truth”? Turning information into not just action, but results? Now that’s pretty savvy. 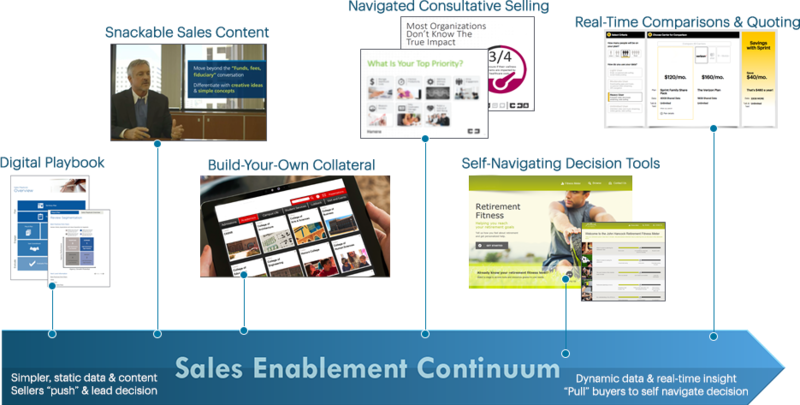 Where does your organization fall on the sales enablement continuum? Does it match where you’re going? Where you want to be? Let’s chat!